Marketing tools can help businesses manage, strategize, optimize and automate their marketing endeavors from social media marketing to search engine optimization (SEO). We looked for the best tools across all major marketing categories to find those that have the most features while being user-friendly and affordable, if not free. Here are the 15 best marketing tools in 2018. Email marketing is a proven way for businesses to reach leads and foster sales. Email marketing platforms give businesses the ability to send and automate bulk emails to their contact lists, saving time and increasing efficiency. Mailchimp is a leading email marketing platform and is the best for its usability, value and comprehensive features. With Mailchimp, you can create professional-looking emails without coding or graphic design knowledge, design automated email funnels, build landing pages and get email performance data and statistics. Mailchimp offers a free forever plan that lets you send up to 12,000 emails per month to up to 2,000 contacts. Being able to know who opened your attachments, viewed your documents and how long users spent reading your documents lets marketers create more effective marketing communications while also allowing them to gauge the interest of certain leads better. This can give sales teams the ability to focus on leads that have shown more interest, harnessing warmer leads that to convert to sales more easily. Attach is the perfect marketing tool for tracking document activity. It is very easy to use and provides comprehensive data on document tracking, including number of pages viewed and how much time was spent reading each page of your document. It’s ideal for businesses that use email marketing and frequently send attachments to sales leads. It starts at $9 per month and offers a 14-day free trial to let you decide if it’s right for you. Quality visual content is a must-have feature for businesses. An in-house graphic designer is no longer necessary for producing high-quality visuals and graphics; however, neither is the use of traditional programs like Adobe Photoshop or InDesign that require a great deal of knowledge to use. Canva is the best place for designing visually pleasing content for free. It has an extremely easy to use drag-and-drop interface with hundreds of templates, images, graphics and fonts available to get you started. 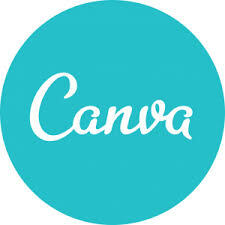 Whether you’re looking to create marketing brochures, a logo, menu, Facebook cover image or something else, Canva is the ideal tool, and it’s free to use. To generate sales, you must consistently capture new leads. Almost all marketing efforts involve the goal of capturing leads; lead capture tools help you grow your contacts list by combing the web for the contact information of your ideal customer. Hunter is our top choice in lead capture tools as it is a simple way of growing leads by searching for emails by business domain. It is a good way for business-to-business (B2B) businesses to find and connect with the right people because it can find people based on where they work. It is free to use for up to 100 searches per month, making it an affordable and valuable tool. Price: Starting at $19 per month after a free 30-day trial. SEO tools are powerful digital marketing tools that help create websites that organically rank high in search engines like Google. Ranking high within search engines increases your business’s digital visibility and brand awareness. There are many factors involved in how well your site ranks, but SEO tools help provide insights into areas of improvement, allowing you to adjust your site for the best results. Tiny Ranker is our pick for the best SEO tool available because its features are comparable to major players like Moz that starts at $99 per month, but costs as little as $19 per month. It is one of the simplest SEO tools available, making it easy to use and includes keyword analysis, on-page SEO analysis with optimization advice and competitor SEO analysis. See how Tiny Ranker can help you improve your SEO with a free 30-day trial or by signing up for its free plan. Social media management is all about scheduling posts, tracking interactions and social media activity and providing analytics information on account performance. These digital marketing tools help teams collaborate and stay organized across all of the social media platforms they use. We recommend Socioboard because it is a well-rounded social media management tool that comes with more than the basic features of post planning and performance data. It also helps generate leads and automates engagement. Socioboard has a free plan for managing one social media account for up to two users, and upgraded plans start at $4.99. It is a top choice for businesses using social media marketing who want to save time while making a huge impact on social networks. Landing pages are key in converting clicks to leads because, unlike a standard webpage, they are designed to coincide with your ads, making them highly relevant. Landing pages can be built without coding or web development knowledge with the help of digital marketing tools that serve as landing page builders. Leadpages is our top choice landing page builder given its extensive templates and ease of use. Its drag-and-drop builder makes designing professional-looking landing pages that convert extremely easy. Leadpages starts at $37 per month for unlimited landing pages, making them one of the more affordable landing page builders on the market. Get started with a 14-day free trial to see how Leadpages can be a valuable lead generation tool that can help increase return on investment (ROI). Conversion rate optimization tools can help you improve your conversion rates with A/B (split) testing and user behavior analysis, among other features. Businesses and marketers use this information to optimize web pages and landing pages to create better pages that convert at higher rates. Freshmarketer is an all-in-one conversion optimization suite and digital marketing tool that helps identify areas of opportunity using sophisticated data. Freshmarketer is user-friendly and includes a visual editor, heatmaps and the ability to segment audiences. It can also be integrated into tools you already use, such as Google Analytics. It offers a free forever plan and upgraded plans to grow with your needs, making it a great choice for growing businesses that utilize digital marketing. Content discovery tools are a relatively new digital marketing tool that helps businesses quickly find trending content and popular influencers. This information is useful in creating an effective content marketing strategy, highlighting topics that businesses can write about that will resonate with their audiences. Social Animal is a great content discovery tool that lets you research content with a detailed analysis of content performance, curate content by searching keywords, discover and connect with relevant influencers, monitor competitors and build a better content strategy. 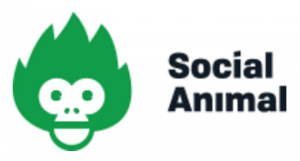 Businesses looking to build SEO and reach customers with great content should use Social Animal. Plans start at $49, but you can try it for free for 14 days. Live chat lets you engage with your website visitors while they’re browsing. It is a valuable digital marketing tool as it gives your website visitors a way to directly communicate with you in real-time without having to call you or wait for a response via email. Freshchat is a great live chat tool that lets you do more than connect with website visitors. It also gives you information on who you’re talking to with user information and social profiles as well as insights into which pages they’re looking at to help you sell to each visitor more effectively. Freshchat has a forever free plan for up to 10 users and basic features, but you can also try an upgraded plan with a free 14-day trial. Website builders make creating a professional looking site possible without the time or cost of using a web development professional. Drag-and-drop website builders make creating your own beautiful website easy with many templates to choose from and easy-to-use builders with a graphical interface. Businesses looking for an affordable way to get a great looking and functional site should use Wix. It is one of the easiest tools to use that can get your site up and running in very little time and with no coding knowledge. 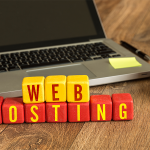 Wix includes free hosting, built-in SEO tools and works with many third-party tools, such as Google Analytics, PayPal and Square. 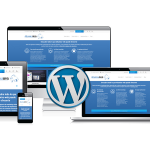 Wix starts at $11 per month, and it lets you build your site before buying a plan. Online directories help increase your business’s digital visibility as well as your organic search ranking. There are hundreds of online directories — from Google and Foursquare to Yelp and Yellow Pages — that makes it time-consuming to manage your directory presence. Online directory management tools do the work for you by scanning the web for your listings. They tell you where your listings are active, inactive and where you’re not listed at all. The best online directory management tool is Yext Listings, which makes managing listings very easy and ensures your business is listed accurately and on all platforms of interest. It also helps you stay on top of consumer-suggested edits about your business and includes analytical information on your business listings. Yext Listings starts at $16 per month. Competitor monitoring tools let you see what your competitors are doing in online spaces, including in search and social and how your business compares. This information is useful in revealing areas of new opportunity or identifying things that are working well in your business. Companies competing online for organic search rank and top paid ad positions should use competitor monitoring tools like SpyFu. SpyFu is a top competitor monitoring tool because of the comprehensiveness of the data it provides. Businesses can see and compare how they’re doing compared to their competitors, with insights into how competitors rank for competing keywords, visitor volume, organic search and paid search rankings. It also allows you to export data and collect sales leads and domain contacts. SpyFu starts at $33 for unlimited searches. Online reputation management tools help you proactively monitor reviews. These tools scan and monitor the web to find when users review your business across multiple review platforms. Bad reviews can be detrimental to businesses, so it is important to stay on top of reviews and respond to them accordingly to help mitigate any potential widespread negative sentiment about your business. Rankur is a great online reputation management tool businesses should use to monitor their online reputation. It includes features that scan social media accounts for reviews of your business and can provide you with alerts when there are negative reviews. If your business is being talked about online, then Rankur is smart to use and requires no financial investment with a forever free plan. Meeting and appointment scheduling tools eliminate the usual back and forth involved in setting meeting dates and appointments. They can be integrated into your emails and communications, giving those you’re contacting an easy way to select a time that works for you and them. Schedulers can help increase your sales too as they make sales-oriented appointment-setting easy, increasing the number of warm leads landing on your calendar. Calendly is a tried-and-true meeting and appointment scheduler. Calendly integrates with all major email platforms, including Google and Outlook, adjusts for time zone differences automatically, and lets you set buffer time between meetings, accept payment and more. Calendly is a terrific choice for businesses that need a simple and effective way of scheduling meetings and appointments. They have a free version to get you going. Marketing tools help businesses easily and effectively market themselves by leveraging search engine optimization, lead generation and customer behavior analysis, among other marketing features. Choosing marketing tools that fit your business and its needs will help make your life easier and your marketing better, leading to more sales.